Dr. W. Felix Peng always appreciates feedback from his valued patients. To date, we’re thrilled to have collected 23 reviews with an average rating of 4.91 out of 5 stars. Please read what others are saying about Dr. W. Peng below, and as always, we would love to collect your feedback. Dr. Peng great, as well as staff. Dr. Peng and Raquel are the most pleasant dentist and assistant I ever been to. Pain free dentistry Dr Peng is very concerned with your satisfaction in office I actually enjoy going to the Dentist! Very professional and with great care. I was able to get my teeth cleaned and have x-rays taken in less than an hour. Dr. Peng is an excellent Dentist. I have been going to this dentist office for over 50 years. He is a true professional. He also has a friendly staff. Shout out to Karen and Maribel. Dr. Peng is very skillful and gentle. My 8 year old son and I both had work done at Dr. Peng’s office. We are very happy with his work. He is very thorough and experienced. I highly recommend Dr. Peng. They are all very kind, accommodating, and friendly. 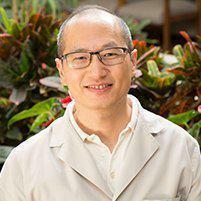 Dr. Peng and his staff are fantastic! Very knowledgeable and friendly. Always there to take care of dental needs. Outstanding staff! Excellent! Both Dr. Peng and his assistant Maribel answered all my questions! Very satisfied with my visit!